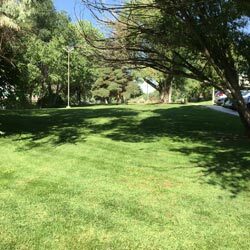 A1 Lawn Maintenance in Farmington offers the services you need to keep your lawn and plants looking green and healthy. Our lawn mowing service enables business and homeowners in Farmington to spend more time enjoying the outdoors rather than doing yard work. 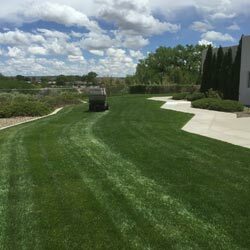 Whether you need to simply cut your grass or your property has specific requirements, our experienced landscapers will work quickly to perfect your lawn. We cut grass for homes, any type of commercial property, golf courses, parks, and more. At A1 Lawn Maintenance, we’ll get your backyard or commercial landscape ready for the growing season with our spring startup services. 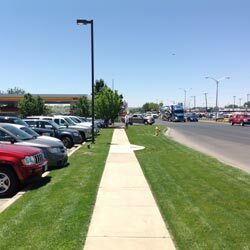 This is a customized service completed according to your property’s needs, and can include planting flowers, fertilizing, soil preparation, planting new grass seed as needed, and weed control, along with anything else you need for your Farmington property. We also offer organic lawn fertilizer, as well as fertilizing services for your trees, plants, flowers, and shrubs. A1 Lawn Maintenance’s fertilizing products are safe for you, your lawn, and the environment. There are several chemical-free options that will adequately enrich your soil and boost plant growth, including slow release, starter fertilizer, and liquid formulas. Our experts will go over the best type of fertilizer for your application, answering all your questions. We also provide tree pruning and bush trimming services for one or several areas. We can clean up a few edges for a uniform appearance or remove dead or overgrown branches, customizing our services to meet your needs and preferences. Our tree trimming experts clean up completely after every job, ensuring your yard looks neat and your trees and plants are healthy and green. A1 Lawn Maintenance’s trimming costs are affordable, and our quality service is tough to match. 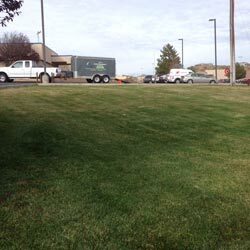 For all your lawn maintenance needs, contact our landscapers in Farmington to get started with an estimate.